The Terhi440 is a stable boat with 5hp outboard engine for up to 5 persons. We recommend 2 persons per boat if you are going out to fish. The rental includes life vests for all passengers, oars, anchor, sea map and 10 liters of gasoline. 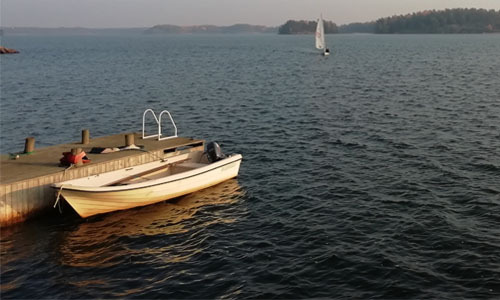 The Rönnqvist is a stable boat with 9.9hp outboard engine for up to 5 persons. We recommend 2 persons per boat if you are going out to fish. The rental includes life vests for all passengers, oars, anchor, safety kit, sea map and 25 liters of gasoline. 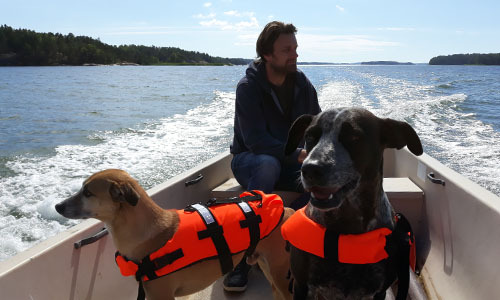 Rent a boat with outboard engine to visit Paraisten Portti or Pensar for lunch or dinner. The rental includes 5L (5hp)/10L (9.9hp) of gasoline. The waters around Björkholm are known for good fishing. Zander, perch, pike and sea trout are present in the area. The best time for pike fishing is from April to the beginning of June and in the autumn from September till the beginning of November. 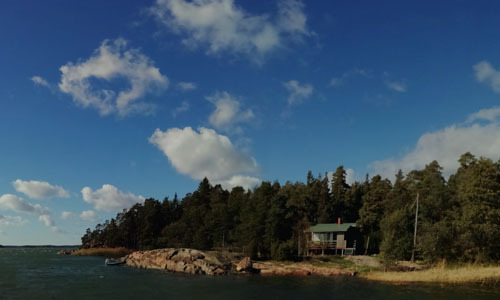 Fishing in the waters around Björkholm requires a Finnish state fishing license. 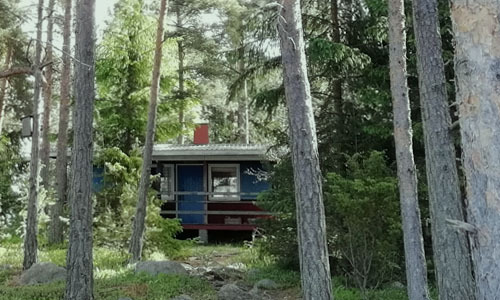 Purchase your licenses online or from us at Björkholm. Fishing permits can be bought for one day, a week or a whole year. 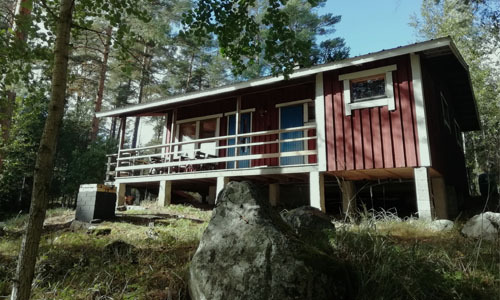 On Björkholm we can offer you a cottage and boat for your fishing trip. As Björkholm does not have a concrete ramp we recommend the launch of your own boat at Granvik port. After the launch you can bring your trailer to the island. 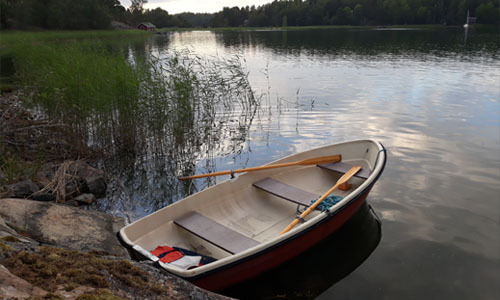 At Björkholm we have a gravel shore for launching the boats, which is only possible with a 4×4 car. You can park your own boat at the pier of your cottage. The parking of your own boat in our harbour is free of charge, but we have limited space. Please contact us. 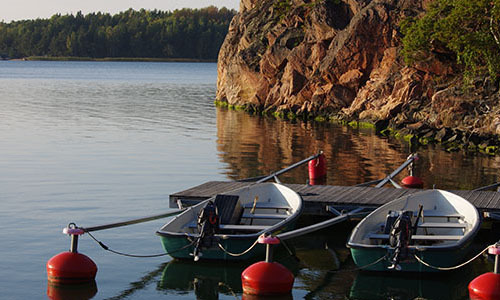 Gasoline for your boat can be purchased 24/7 (swipe) at Paraisten Portti, south-east of Björkholm.